When searching for the right siding contractors, keep these important things in mind. can help keep your material and labor costs down, while adding value and curb appeal to your property. The following are three vital tips to help you find a siding contractor that is right for you. 1). Ask about the materials being used, the level of maintenance required, and the overall products durability. be sure to ask to see their documentation before the job begins. 3). Always ask if they have online testimonials or positive reviews they can direct you to. the information we provide can save you time and money. just visit our website or call us today. 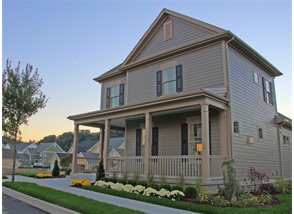 Service Group Construction has a plethora of unique ideas and trained craftsmen to handle your siding project goals and needs. Its important to realize that a huge energy savings can be achieved with your siding plans if you take a bit of time to plan it out correctly. We can help deliver a very luxurious looking siding plan that not only increases the value of your home but will put money back in your pocket. Our siding experts have plenty of experience, they keep everything clean on site, and are punctual throughout the entire project. You are more than welcome to ask us about all the siding options available to you that will fit within your budget. We are a budget concision contractor and will always provide you the best options within your current budget. Service Group Construction, your Vancouver WA Siding Contractors.